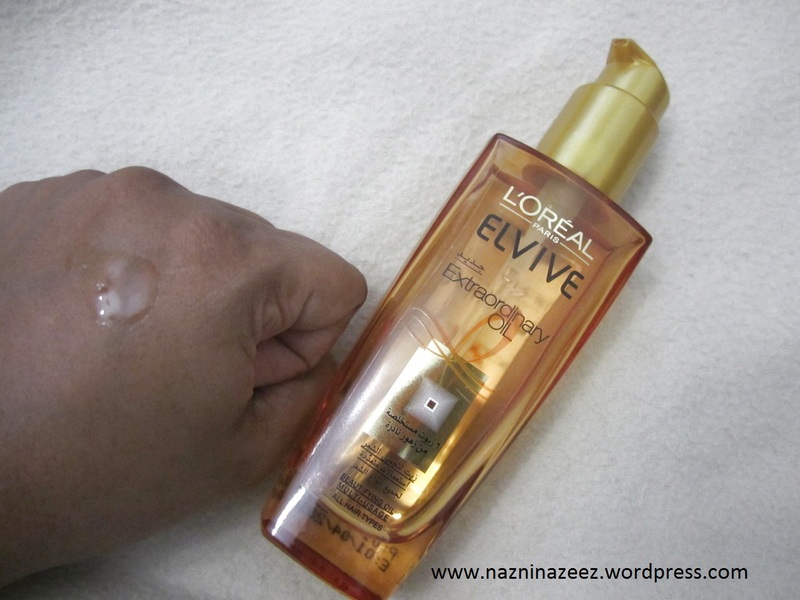 Review : Loreal Elvive Extraordinary hair oil! 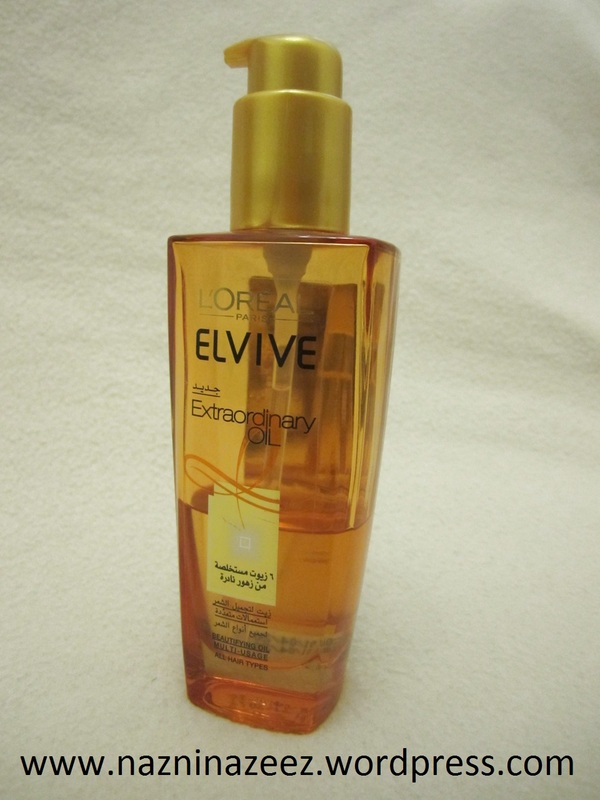 Back in Dec 2013, I did a collective haul post and promised I would do a detailed post on the L’Oreal Elvive Extraordinary hair oil. Here it is!. The first thing that I love about it is it’s chic, tinted glass bottle. It looks extremely high end and just so beautiful!. It comes with a neat golden pump that makes it easy to dispense the product. The pump can be twisted from side to side to lock/unlock, which is very convenient and avoids wastage of product. The one I own is for ‘All hair types’. More than being an oil, this is more like a serum. It’s viscous and has no color. It contains an extraordinary blend of 6 oils such as rose oil, lotus oil and chamomile oil, extracted from flowers!. So, it smells incredibly good. The formula is surprisingly non-greasy. It says on the bottle to use just 3 or 4 drops throughout the hair but I am surprised that I use 8 or 9 pumps for each application!. Each pump dispenses just the right amount (as shown in the picture below), so 9 pumps isn’t really a lot. Also, though it feels thick and rich, it’s amazingly light on the hair, never weighs it down and brings a beautiful natural shine to the hair. Once applied (even 9 pumps!) it doesn’t look oily at all. Usually, I apply this overnight and just leave it in my hair. This is a multi functional oil. You can use it before shampooing your hair, to nourish, before blow drying your hair, to protect or as a leave in to give it shine and smoothness. It does make your hair more manageable too. I have been using this on and off for the past 7 months. I really like it. I can’t say my hair has improved just by it’s usage but immediately after application, my hair does feel, look and smell great. I would suggest you try this oil out and see how your hair feels. Price: I bought it for AED 34.50, when there was an introductory offer going on. I believe it’s about AED 36.50 at the moment for a 100 ml bottle. ← Review : QV Cream! Nice review. Too bad it did not really show much improvement on your hair. Hey thanks and yeah I agree!